The origin of opiates is the poppy plant, which has been in existence for decades. Opiates are used for both medicinal and recreational purposes. While some opiates are derived from natural, raw opium, others are manufactured yet maintain a similar chemical structure with the natural opium. Many drugs fall in the category of opiates. These include codeine, fentanyl, morphine, and even illegitimate drugs like heroin. Whether legal or illegal, opiates have one thing in common; they have the ability to slow down or depress one’s central nervous system. By suppressing the central nervous system they give the user a high that is very addictive. The partially synthetic variety that included by-products of morphine such as oxycodone, hydrocodone, and oxymorphone. Synthetic compounds such as alfentanil, Fentanyl, methadone, Meperidine, codeine, levorphanol, and Propoxyphene. Let’s look at each of these categories in a little bit more detail. Natural opioids are derived from the opium poppy plant. They are extracted from the plant itself and the milk from the plant’s seedpods. Some believe that in its natural state, opium is less harmful. Research has however shown that even in its natural form, opium is highly addictive and can cause respiratory depression thus leading to death. Traditionally, opium in its natural state was used to treat the various nervous disorder, and as an anesthetic during treatment. Some of the nervous disorders that were treated using natural opium include migraines, cancers, among others. Morphine, a natural opiate, has been for decades used to relieve pain, but it is also misused by opioid addicts to get high. Synthetic opiates are manufactured and contain chemicals that cannot be obtained from the poppy plant, opium or morphine. They are ideally designed to assist in opiate addiction therapies. Although they are not natural opiates, synthetic opiates act on the brain in the same way natural opium does. In fact, it produces the same effects. Chemical compositions in synthetic opiates differ and therefore the degree of effects on the nervous system differ as well. These are derived from opiates that occur naturally but also incorporate synthetic alkaloids in their composition. Semisynthetic opiates are the most abused and drugs like heroin and OxyContin fall in this category. The irony is that they were initially created as a safer substitute for raw opium. Most of the effects they produce are similar to those produced by natural and synthetic opiates. While many people treat the terms withdrawal and detoxing synonymously, these two are not the same. Detoxification ideally refers to the process through which our bodies naturally break down and get rid of toxins. 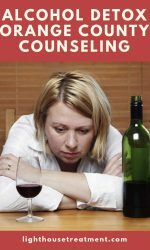 Withdrawal, on the other hand, is the symptoms that arise when an addict quits a drug or alcohol. These symptoms are the body’s way of rioting because it has become accustomed to the drug. 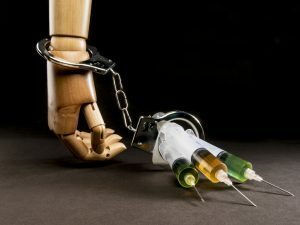 When we talk about opiate detox, this is the process through which the body naturally and often times medically, eliminates opiates from the system. 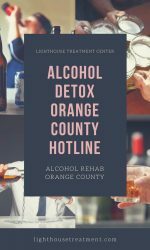 Opiate detox refers to the various strategies that are employed in managing acute intoxication as well as ease withdrawal indications. The purpose of opiate detoxification is to get rid of opiates from the body so that it can return back to its normal state or homeostasis and cease dependence on opiates. 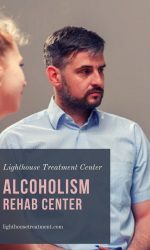 For an addict to stay clean in the long run, detoxification must be long-term whether it’s a residential treatment program or outpatient recovery program. An event program for detox should last between three to six months with aftercare programs to prevent relapse. 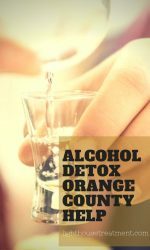 Because of dependence on opiates, addicts experience withdrawal symptoms during detox. These can vary in length and severity depending on the drug of choice and level of addiction. In some cases, withdrawal symptoms can be life-threatening and that is why having medical professionals assist in the detox program is key as they can help in managing the withdrawal symptoms. If you’re pregnant, you cannot go through opiate detoxification because that would heighten the risk of premature birth or spontaneous abortion. A doctor will likely put you on methadone, which is an alternative synthetic opioid safer for the unborn child. 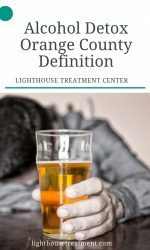 At the onset, detoxification is individualized because every opiate addict has unique needs. 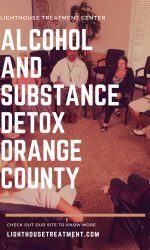 While many opioid addicts have attempted detoxing on their own, very few actually succeed. Opioid relapses are common and research shows that addicts relax up to six times before they can finally be clean. Opiates are many and accessible because some are legally attained. 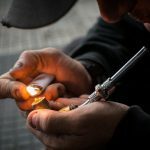 If you are addicted to opiates, it is important to understand that it is not an easy habit to beat. 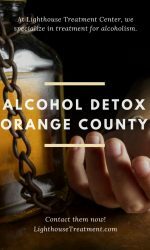 Medical detoxification is the best approach to take when dealing with opioid addiction and recovery. 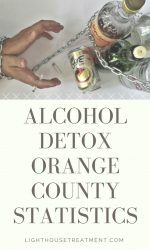 Medical detoxification is a medically controlled supervised withdrawal from opioids. It is done under the care of a medical professional. Withdrawals associated with opioid detoxification can be extremely brutal and having a healthcare professional monitor and administer treatment appropriately is key. This takes place in a residential treatment facility or a hospital. 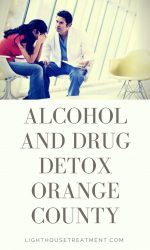 The addict goes through detoxification under supervision by medical professionals. There are detoxification units in most hospitals and treatment center well equipped to handle any complications that might arise from the withdrawal symptoms. 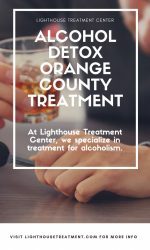 During inpatient detoxification, the patient is closely monitored and often times prescribed decreasing doses of a drug that is similar to the drug they abused so as to minimize the severity of the withdrawal symptoms. Other medications may also be administered to help with the withdrawal. The success rate for this kind of detoxification program is significantly high. In this kind of medical detoxification, general anesthesia is administered to patients and they go through withdrawal while unconscious. Intravenous injections known as opioid blockers are then given to counteract the action of the opioids they’re addicted to. Additionally, patients are given other medications that help in minimizing the withdrawal symptoms. These medications include anti-nausea meds and muscle relaxants. By using the opioid blockers such as nalmefene and naloxone, a patient goes through detox within four to eight hours. This procedure has to be carried out in a hospital’s intensive care unit. Most patients are discharged within 48 hours. Rapid detoxification is preferred by some because it eases the effects of the withdrawal symptoms in opioid addicts. It is however very expensive and has risks associated with going under general anesthesia. Many recovery facilities and hospitals do not offer this kind of treatment because the risk of complications during treatment is high and most causes of death following rapid detoxification are not known. Moreover, most patients end up suffering worse withdrawal symptoms after being released from the hospital. Research has shown that withdrawal symptoms continue exhibiting even after rapid detoxification. This procedure is also carried out from a hospital or medical clinic with the help of nurses and specialized doctors. While rapid detoxification involves intravenously administering opioid blockers, stepped rapid detoxification uses a slower approach, where medications are administered through the skins to help eliminate opioids from the body slowly. The doctors monitor a patient’s withdrawal symptoms and determine the pace that will be employed in administering the medications. Patients are allowed to such on Buprenorphine tablets to manage withdrawals during treatment. This treatment does not require a lot of withdrawal management medications because the patient is alert and able to communicate with medical personnel so medication is given only if and when needed. Detoxification can also be carried out using naltrexone therapy and in such a case, should a patient use an opioid, they will not get the effects because naltrexone blocks all the receptors. In this procedure, patients are put under general anesthesia and administered with naltrexone, a drug used to block endorphin receptors. The procedure fast-tracks the withdrawal phase, causing detoxification to occur in five to thirty minutes. The procedure is extremely painful and can only be tolerated when the patient is under anesthesia. It is also very costly and the medical risks associated with it are significant. This procedure is effective and safe for patients who experience moderate and mild withdrawal symptoms. 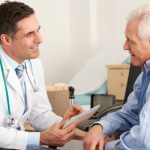 In outpatient care, opioid detoxification is achieved through administration of an array of medicines such as clonidine or buprenorphine naloxone or naltrexone. Buprenes is FDA approved and also available to outpatients. Doctors who administer this drug must undergo an eight-hour training before handling the drug. Buprenex can also be administered and it takes seven to fourteen days to effectively detoxify. The most popular technique of opioid detoxification is the use of Methadone. Methadone is FDA approved and can be administered from a clinic. It is used to gradually taper a patient down from their normal opioid dose until they completely stop using the opioids. Complete detoxification occurs within 21 days. Patients still experience terrible withdrawal symptoms and are usually still using drugs during the treatment. 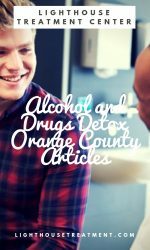 As discussed above, there are different methods of opioid detoxification and they all have their fair share of risks. Let’s take a look at some of the risks associated with the various treatment options. Death as a result of withdrawal syndrome is uncommon but devastating. The complications linked to the clinical supervision of withdrawal are usually underestimated. Opioid withdrawal is characterized by flu-like symptoms that are objectively mild but subjectively severe. Symptoms include insomnia, dysphoria, diarrhea and vomiting, fever, excessive sweating, rhinorrhea, muscle aches, pupillary dilation, yawning, and lacrimation. Vomiting and diarrhea are often times the cause of death in patients undergoing detoxification. If untreated, these two symptoms can cause severe hydration, elevated sodium levels in the blood (hypernatremia), and eventually heart failure, which leads to death. Most opioid addicts are terrified of going through detoxification because of the adverse withdrawal symptoms experienced during the process. That is why some prefer to go for the rapid detox procedure which promises to be relatively painless and quick. Research has however shown that this promise is not entirely true. While the patient may not experience any pain or discomfort while under anesthesia, they do begin experiencing withdrawal symptoms some of which are painful once the procedure is done. The procedure mitigates the negative initial withdrawal symptoms and the Naltrexone administered blocks endorphin receptors thus helping with rapid detoxification. It is reported that 1 out of 500 patients die while undergoing rapid detoxification and experts still don’t know what exactly causes these deaths. Many hospitals and recovery clinics have stopped administering this kind of treatment because of the risks associated with it. A major shock to one’s system. Our bodies have the natural ability to get rid of toxins, but they do this over time. This procedure is rapid and evidently shocks the body, forcing it to eliminate the opioids from your system. Some individuals might not be able to handle the intensity of this treatment. Most rapid detox procedures don’t factor aftercare matters. Often patients are discharged and left on their own. Lack of adequate aftercare programs exposes the patient to the risk of a relapse. They are also left struggling with the post-treatment withdrawal symptoms which can further pull them back into opioid addiction. The procedure exposes individuals to the risk of developing pneumonia, metabolic illnesses, heart attack, and pulmonary edema. The procedure also exposes one to the risk of dehydration, which can be fatal if not properly addressed. To manage the adverse symptoms of withdrawal during detoxification, doctors sometimes prescribe medications. Clonidine is one of the medications used to manage withdrawal symptoms during opioid detoxification. Many health professionals and patients attest to the effectiveness of clonidine although it’s actually not approved for treating opioid withdrawal symptoms. It is approved for the treatment of congestion problems and flu-like symptoms. In opioid withdrawal management, clonidine can help manage sweating, agitation and anxiety, runny nose, muscle and abdominal cramps, and achiness. Risk of being ineffective. If you have abused opioid in high doses and for a long time, the risk of not successfully detoxing using this drug is high. This medication is only available for inpatient treatment. This means that the risk of a relapse increases once you’re discharged because you can’t get access to the drug. The risk of negative interactions with other drugs is also very high. During detox, doctors usually administer a range of medications. Some to deal with the detoxing and other to manage the withdrawal symptoms. With Clonidine, the risk of drug interactions some of which could be fatal significantly increase. Based on a patient’s profile, the contraindications of the drug could be severe and fatal. Sadly, there is no way of telling until the drug has actually been administered. The list of risky side effects of the drug are significant and once again, it is impossible to tell what side effects a patient will have until they actually take the drug. Moreover, it’s hard enough battling with the withdrawal symptoms adding harsh side effects of the drug can be tremendously overwhelming to patients. Naloxone is an opioid receptor rival that is short-acting and non-selective. It has a high success rate in opioid detoxification and can be administered within an extensive dose range of up to 10 mg. In opioid addicts, it is also used to treat respiratory depression caused by opioid overdose. In rapid detoxification, the drug is combined with buprenorphine and administered intravenously as part of maintenance therapy. The risk of the drug wearing out while it is being used in the treatment of respiratory depression caused by opioid abuse, are high. Should the drug wear out during treatment, the patient, is likely to succumb to respiratory depression. High doses of naloxone or rapid infusion of naloxone in patients experiencing severe pain from opioid withdrawal, can cause catecholamine discharge, which can cause cardiac arrhythmias and pulmonary edema. Because of these risks, naloxone should be cautiously administered and the patient should be monitored and their cardiorespiratory status keenly observed once the drug is administered. Methadone is administered long-term during opioid detoxification and treatment. Sometimes patients take it for as long as a year or longer. The doctor keenly tracks one’s body’s response to the drug and makes an adjustment of the dose each step of the way. Specialized doctors also assist patients to slowly wean off the medication while preventing adverse withdrawal symptoms associated with it. Short-term use of methadone can cause nausea and/or vomiting, restlessness, constipation, itchy skin, slow breathing, heavy sweating, and sexual problems. Feeling confused or experiencing hallucinations. Long-term use of the drug could also lead to breathing and lung problems. In women, it could interfere with the menstrual cycle and in pregnant women cause complications. Methadone can also have adverse reactions when taken with other medications that cause serotonin levels to change, slow breathing or induce sleep. This drug should only be taken under the strict supervision of a specialized doctor. Probuphine is first buprenorphine implant used in opioid addiction treatment to counteract withdrawal symptoms. It looks like four matchstick rods that are implanted in the upper arm, right under the skin. The implantation procedure takes 15 minutes and it is an entirely outpatient procedure. This device releases the drug buprenorphine into the body for a period of six months making withdrawal symptoms more manageable within that period. After six months, the implant is removed and the doctor makes the assessment to determine if you will require another implant or not. Most patients do not require a second implant. Protrusion, migration, and expulsion of the Probuphine implant during insertion and removal. Nerve damage can also occur during insertion or removal of the Probuphine implant. Migration of the implant during insertion or removal can result in embolism, which can lead to death. There is the risk of the implant being wrongly inserted thus becoming ineffective or causing other health complications that could be life-threatening. There is an increased risk of relapse with the Probuphine implant because of most patient neglect aftercare treatment once they have the implant. Majority skip checkups, group meeting, and counseling all of which are critical to their full recovery. Ultimately, it is important to realize that opioid detoxification does not treat opioid addiction. It is a critical step in the recovery process but much more should be done if you hope to fully recover from opioid addiction without relapsing. Of key importance is addressing the issues that led to addiction in the first place. That is why aftercare programs such as group meetings, the twelve step recovery, individual counseling, and group counseling are all crucial. A quick online search will provide a long list of available aftercare programs in your area. What is Crack Cocaine Treatment?